The Bosch VF100 Flat Pleated Paper (Cellulose) Filter is designed for Bosch VAC series dust extractors, including the VAC090A, the VAC090S, the VAC140A and the VAC140S. 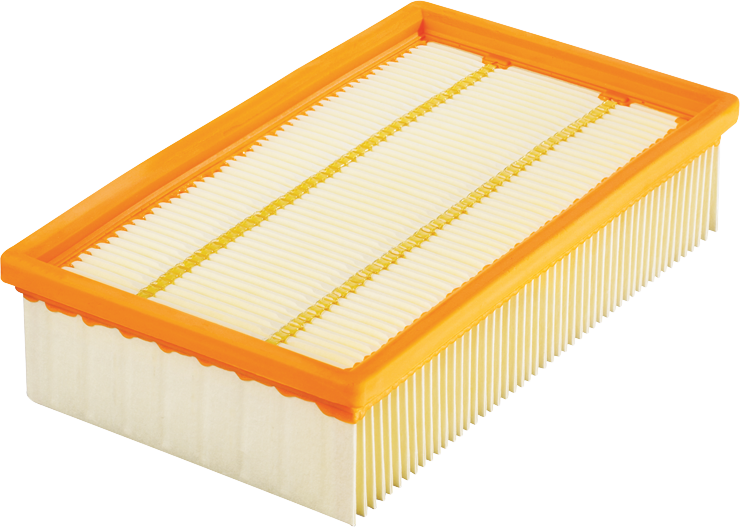 This filter captures 99.9% of particles 2.0 microns and larger. It is designed for dry use. The flat design provides for greater canister capacity, allows for easy installation and does not extend down into the canister. The VF100 filter does not, however, allow any of the Bosch VAC series dust extractors to meet the EPA definition of a HEPA vacuum or to meet all of the OSHA filtration-efficiency regulations for collecting respirable crystalline silica dust. To help meet those requirements, Bosch offers the VF120H HEPA filter, and pairing it with the VAC090A or the VAC140A can help users move toward compliance with the EPA and OSHA requirements. Filtration Capability 99.9% of particles at 2.0 microns. Even better for larger particles!